It is said storage for backup. To upload data such as photos, videos and other documents, need to use the AWS CLI. 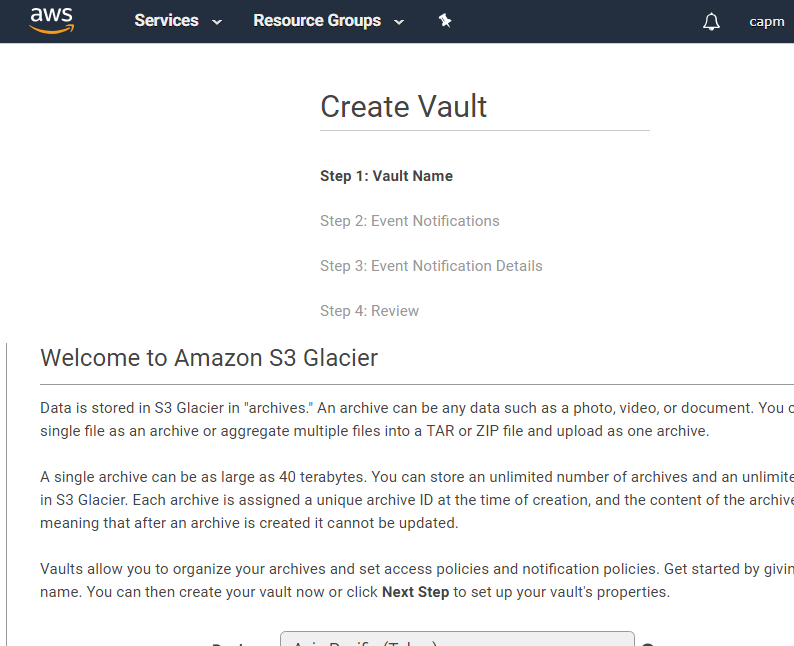 Althernatively, need to write code to make the upload request either directly using REST API or using the AWS SDK. 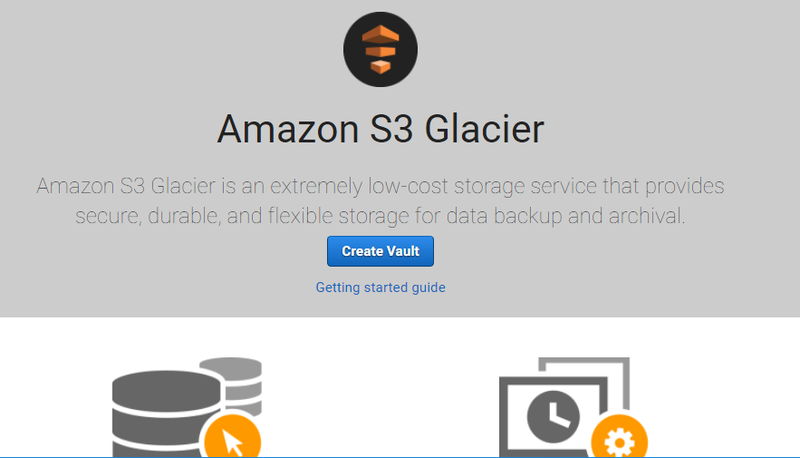 Amazon Glacier’s data is managed in units called Valut. Up to 1000 valuts can be created for each region, and up to 40 TB can be saved per Valut. As a concept feel like S3.